Effective Hard Floor Cleaners DA Kent | RDA Cleaning & Maintenance Ltd.
Keeping your floor from cracks and scratches is by all means not an easy task. And it is not even easier to sanitise or restore its surface. This is why it is very important for you to rely on the expert hard floor cleaning services in Kent DA. Our reputable cleaning company provides a wide range of procedures and techniques suitable for all hard floor types. Our secured and reputable hard floor cleaning services are suitable for both commercial and domestic purposes. We are available 365 days per year without making exceptions or asking for extra fees during weekends and national holidays. To get more details about our reliable company, do not doubt to contact us. Reach us on 020 3404 1646 at any convenient for you time. We are here for orders and questions! Our hard floor cleaners Kent DA would arrives with the equipment and eco-friendly and safe professional solutions for cleaning and sealing the floor. The furniture is removed and a thorough inspection is done to determine the exact material of the floor, its condition, as well as any removable stains. The floor is hoovered thoroughly and then the stains and heavily soiled areas are pre-treated. If there is existing sealant or polish which needs to be removed, it is taken off with a modern scrubbing machine with different pads. 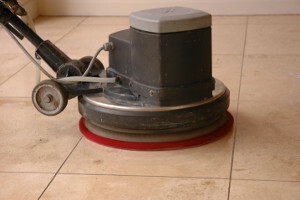 Depending on the type of hard floor, a different cleaning solution and treatment are used. The solution is rinsed off, and the floor is dried. An appropriate sealant is applied. RDA Cleaning & Maintenance Ltd. was established in London in 2008. Since then, the number of our customers in the area has been growing rapidly. 97% of our customers claim that they are recommending us to their friends and colleagues. We work with only checked & experienced professional hard floor cleaners in Kent DA. We are available at all times, respond quickly to your booking requests and most of all provide an excellent, fully insured and affordable local hard floor cleaning service. We serve both private and business customers. There is no point to scrub and wash your home floors for hours! And if you care for the optimal working process in your office, you better call us. Better not wait and reserve the sophisticated hard floor cleaning and polishing service in Kent DA. Get a free quote now! Dial 020 3404 1646 and right away!